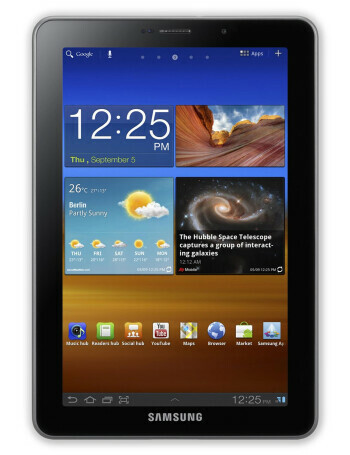 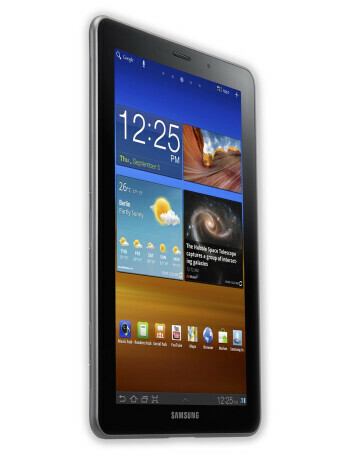 The Samsung Galaxy Tab 7.7 is the first tablet to feature a 7.7-inch Super AMOLED display. 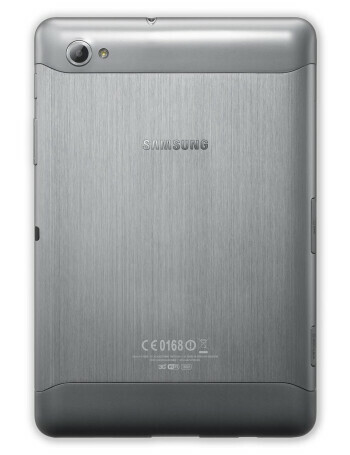 Under the hood, there is a 1.4GHz processor, making the TouchWiz skinned Android Honeycomb 3.2 tick. 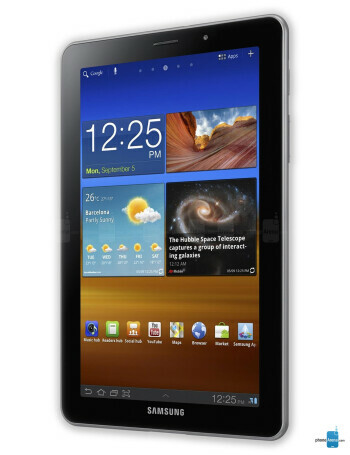 The tablet sports a 3-megapixel camera on the back and a 2-megapixel front shooter and has a 5100mAh battery, which delivers up to 10 hours of non-stop video playback.